Gifts from the Pirates: "The more help a person has in his garden, the less it belongs to him." Had a few days off from writing posts, sometimes i just need a break from the computer. Yesterday we went to see Lotty Mrs M's sister. She is house sitting for an older couple that she knows and they have the most amazing garden and house that backs on to Buildwas Abbey. The house was built by the guy that lives there and the enormous picturesque garden is very well kept by them themselves. Mrs M's parents came over too which was great, not having much of a family myself i really enjoy spending time with these guys. They have always been so kind to me and we all get on really well. I love the fact we can all be quite sarcastic and take the mick out of each other and no one takes it to heart, they all have a great sense of humour. After having a chat, several cups of tea and being well and truly dragged around the garden by Opeie now that he's up on his feet we went for a walk around the abbey which was a really lovely walk. The weather was fantastic which really added to the lovely sights and i got to take plenty of photos. Mrs M is always happy to see a field of sheep, their one of her favourite animals. After the stroll we headed back to the house for even more tea and great conversation. 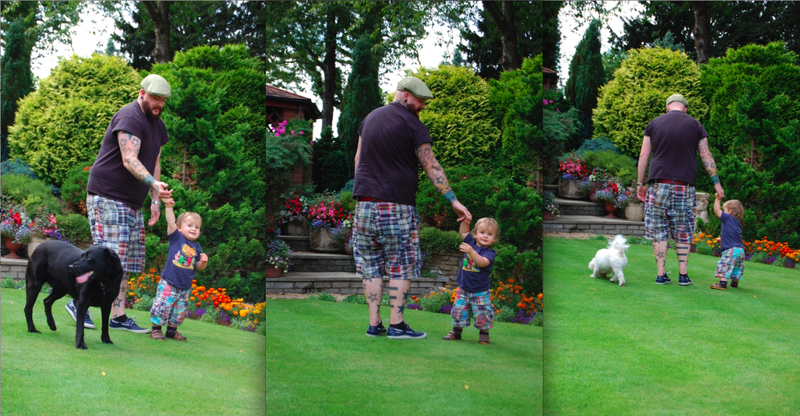 Opeie again was determined to drag us all round the garden, its so cute how he just wants to walk everywhere now. He's certainly making good use of his new shoes. 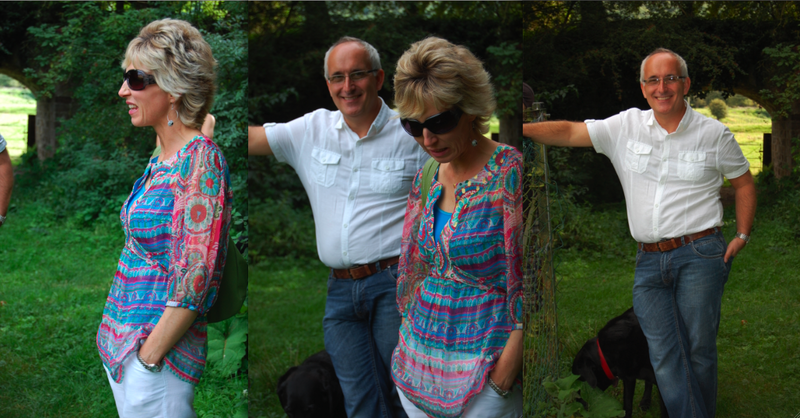 I dont think Mrs M enjoyed me taking the pictures very much. But she always looks yummy. Before heading home we walked over to some stables down the road to see Lotty's pony Percy. I don't like horses i never have done but despite this i decided to go anyway. He was a lovely looking horse (if you like that sort of thing) but I'm just not an animal person at all. It was a really lovely afternoon, the only thing that was missing was Seth. we always feel a little guilty doing things when he's not there but that's just the way things are i guess. Weve told him we will take him to see Percy one of the nights after school though. According to the Met Office it'll be raining for the rest of the week so I'm glad we got to do something nice this weekend.